The company has announced a new feature aimed specifically at locating lost earbuds. The chances of you losing your expensive Apple AirPods just reduced from "very likely" to just "likely." The company behind the wireless headphones, introduced last year alongside the iPhone 7, has announced a new feature aimed specifically at locating lost earbuds. 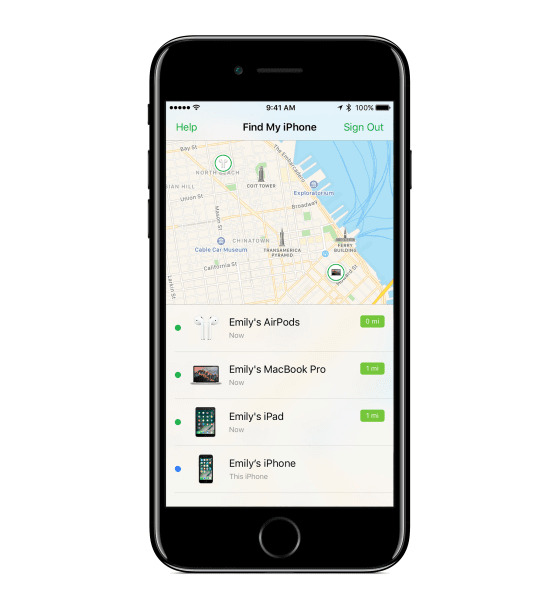 The extension of the Find My iPhone tool will help users to find their missing earbuds through the app or iCloud website. The service will be able to identify whether the missing items are within Bluetooth range of the owner's Apple device. Failing that, users will be able to see the area where the they were most recently connected to their Apple device. There will also be an option to play a sound on one or both AirPods to assist in finding anything misplaced by their owner. The user must be signed into iCloud on these devices in order for this to work. The new feature will be available when iOS 10.3 launches shortly. At present Apple charges $69 to replace a missing AirPod.